I do try to eat a lower gluten diet than most. Simply because it doesn’t always agree with me. Still, it is expensive to eat certain things if you’re on a gluten-free diet and Lidl have some gluten-free bargains this week that are well worth a look. The majority of the gluten-free products on special are produced by Kelkin who are based in Dublin 12. I’ve great memories of us always using their popcorn kernels as a child and it’s great to see an Irish company going from strength to strength. The boys already love the Kelkin rice cakes, and himself likes to bring their chocolate coated rice cakes to work for a snack. We’ve been buying them for years but they can work out expensive so I like to wait until they’re on special. To give you an example of some of the savings you can expect this week I’ve compared the two supermarkets I shop in most. This week in Tesco the chocolate coated rice cakes are €1.95 but in Lidl they’re €1.49. That’s a saving of 46c per packet. A box of gluten-free jaffa cakes in Tesco come in at €2.59 but they are €1.99 in Lidl. A saving of 60c per packet. 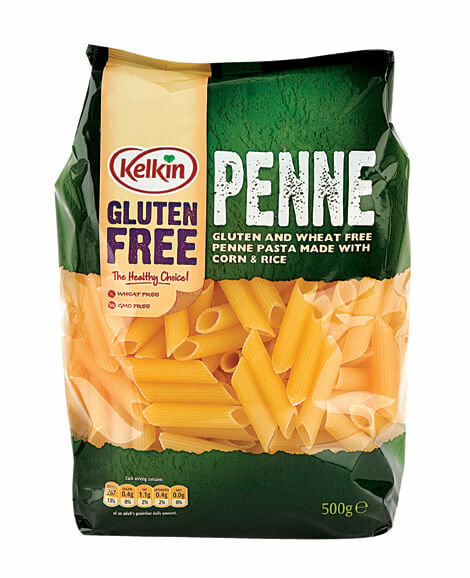 Gluten free penne pasta is €3.09 in Tesco but it’s €2.49 in Lidl, again a saving of 60c per packet. There are 35 products in total on special this week including a gluten-free beer and some baking powder from Dr Oetker too. You’ll find more information on their website. Lidl sent me some of these Kelkin products to try out last week. I have to emphasise I regularly buy many of these anyway AND they are far cheaper in Lidl at the moment. I happily recommend you to chase the bargain if you’re looking to stock up on good value, quality gluten-free products and support an Irish producer as well. They have their own gluten-free range as well including their own brand pasta. Best of luck!